Annie Mole @ Going UndergroundNext-Gen London Underground on-platform display – Tells how crowded next Tube is [an interesting user-interface mockup. Graphserver Growing Shortest Path Trees. Abstract. 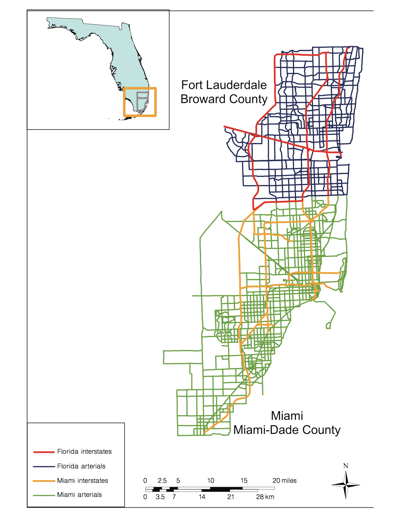 This research aims to identify the role of network architecture in influencing individual travel behavior using travel survey data from Minneapolis-Saint Paul and Florida (Fort Lauderdale and Miami). Various measures of network structure, compiled from existing sources, are used to quantify roadway networks, and to capture the arrangement and connectivity of nodes and links in the networks and the spatial variations that exist among and within networks. The regression models show that travel behavior is correlated with network design. Molly Rants @ CNET News: Self-driving cars: Yes, please! Now, please!